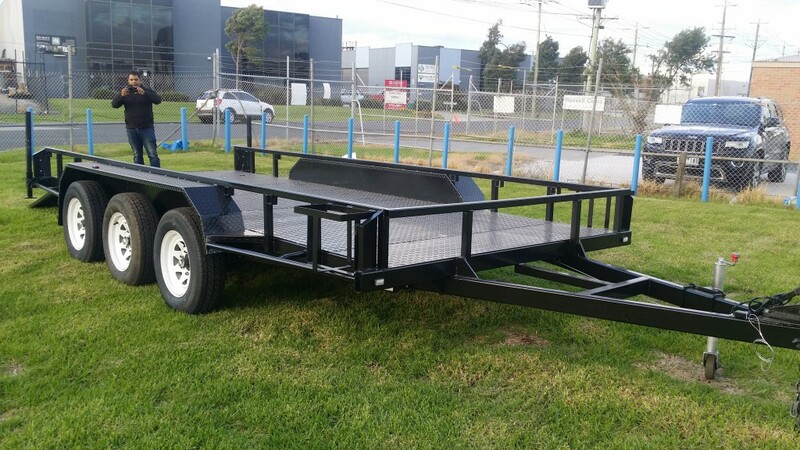 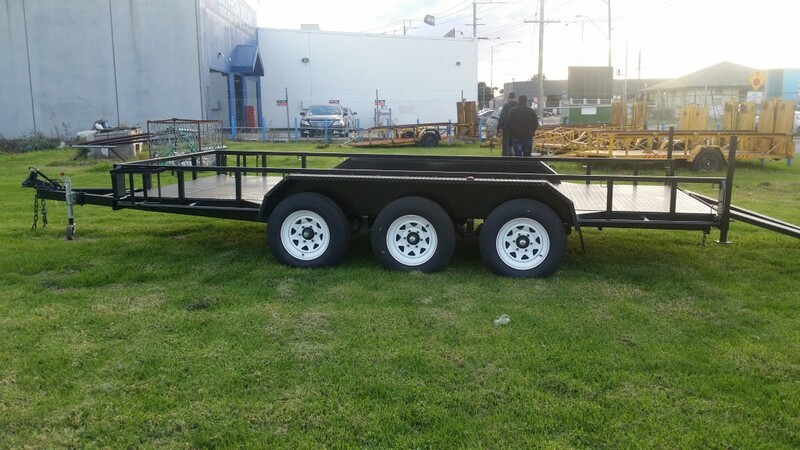 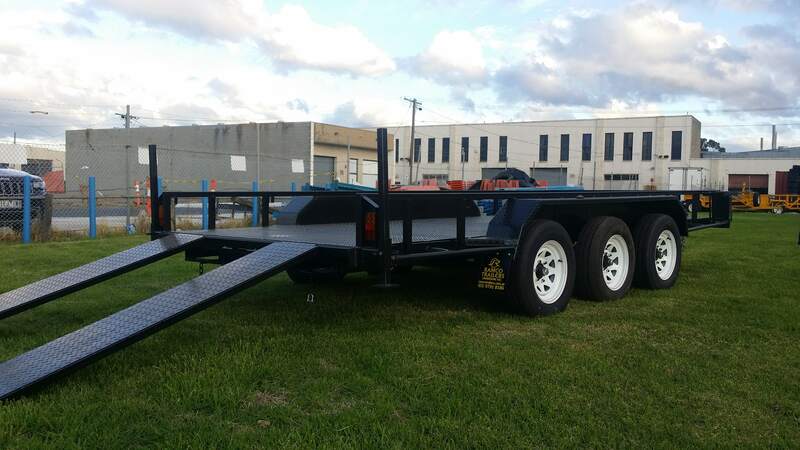 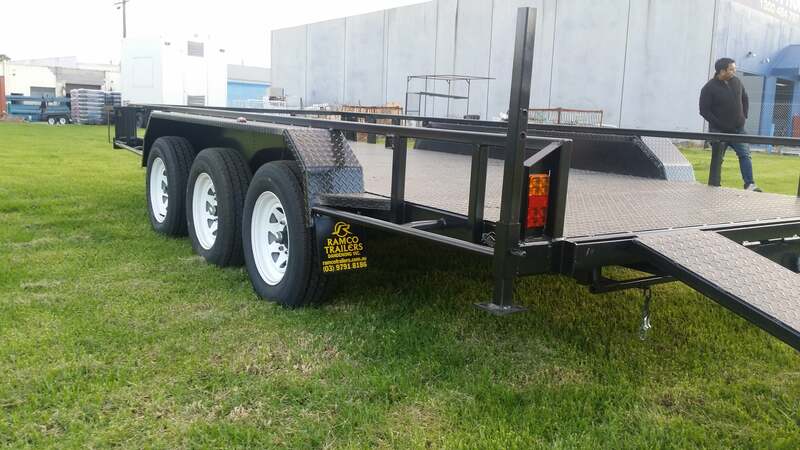 Leveraging on the vast industry experience in the respective domain, Ramco Trailers have gained a reputation as the leading and renowned manufacturer and supplier of quality range of Tri-Axle Trailers in Melbourne. 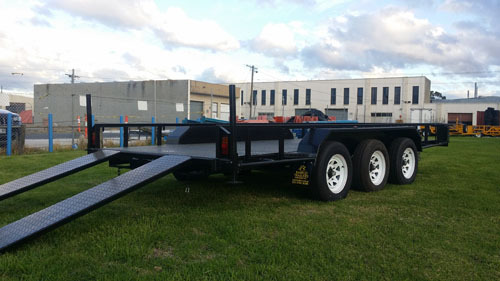 We offer these trailers in diverse range of sizes in accordance with the demands and given preferences of our esteemed clients. 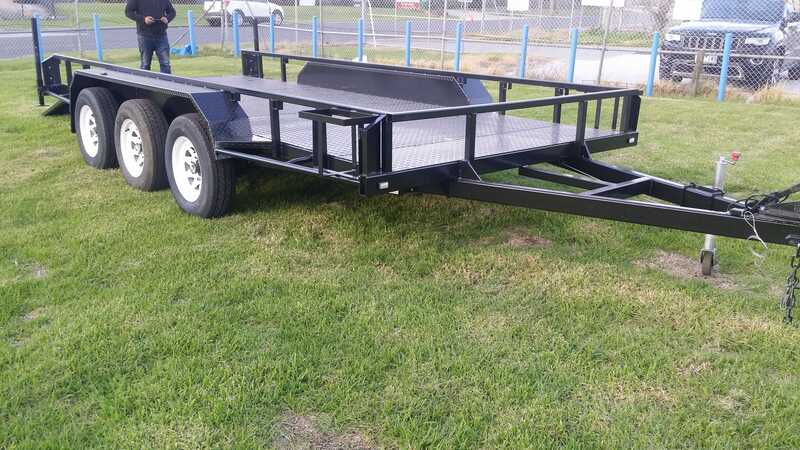 These highly durable trailers are widely known and demanded for their excellent strength, easy operation & maintenance, functional accuracy and heavy load bearing capability. 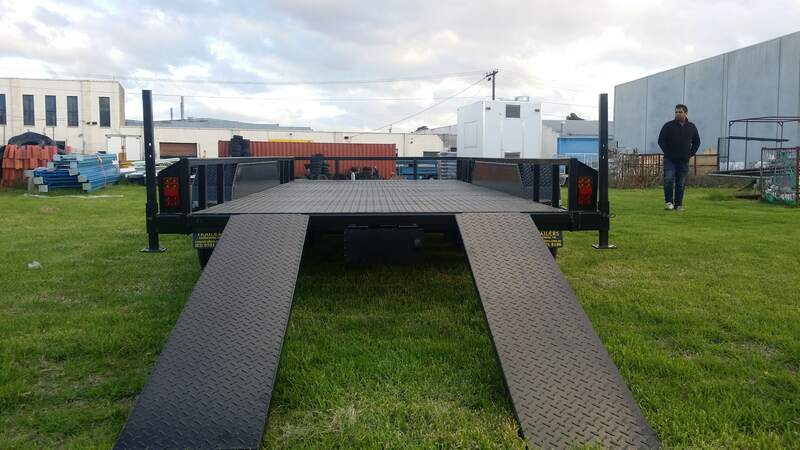 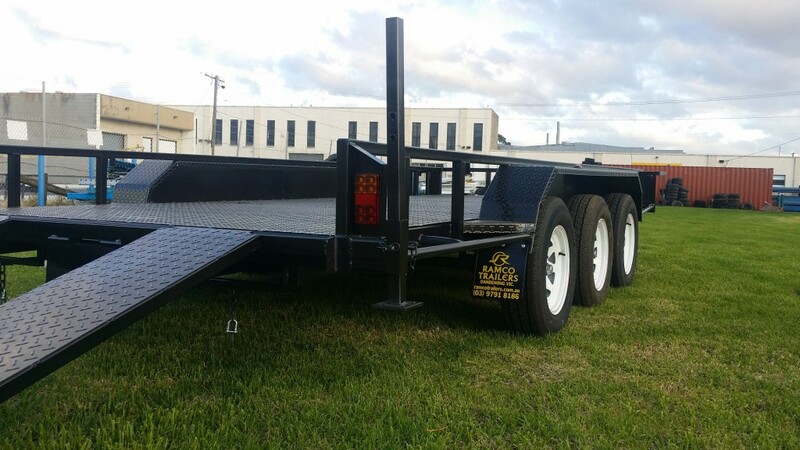 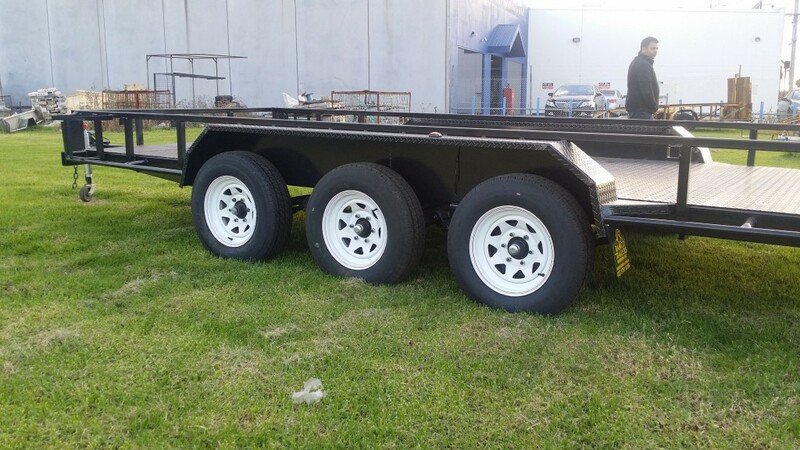 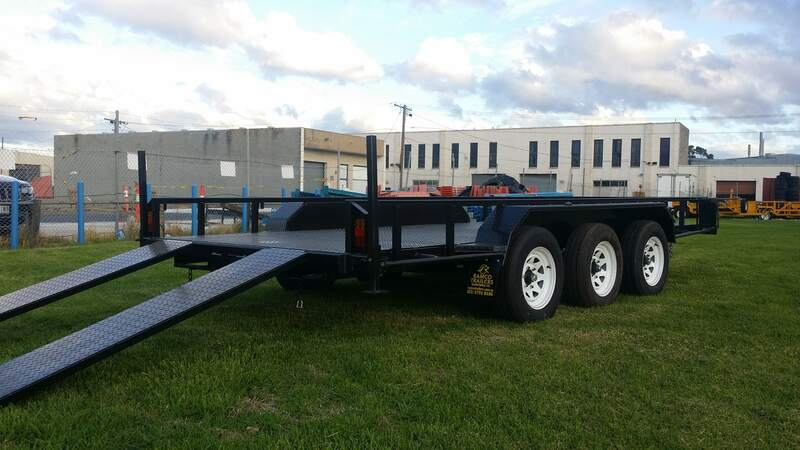 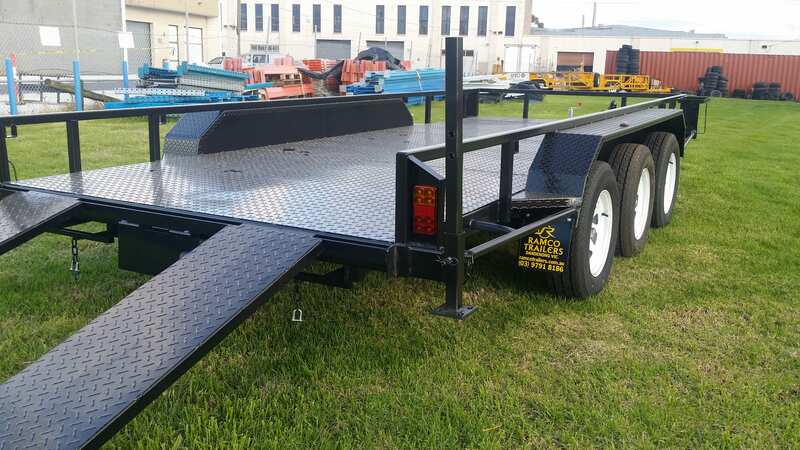 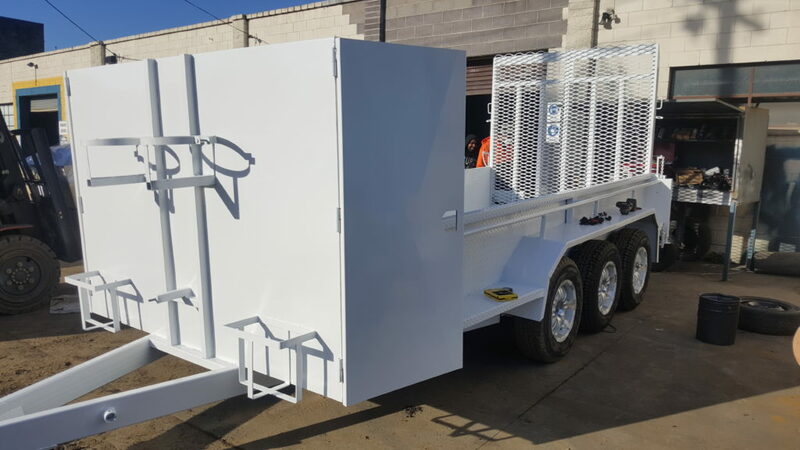 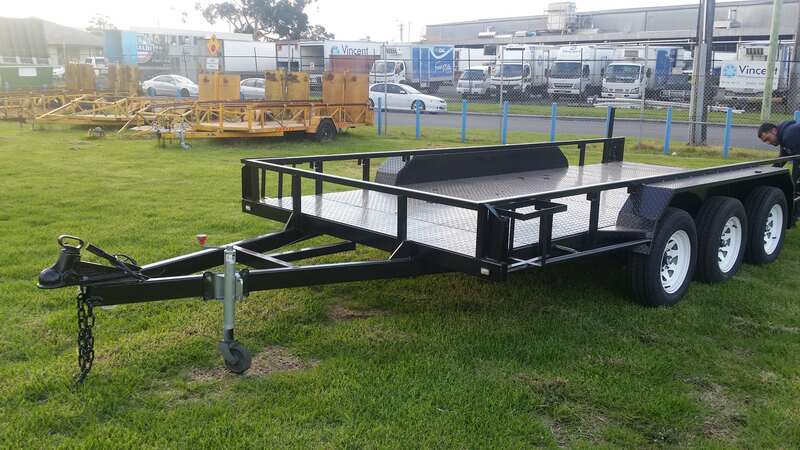 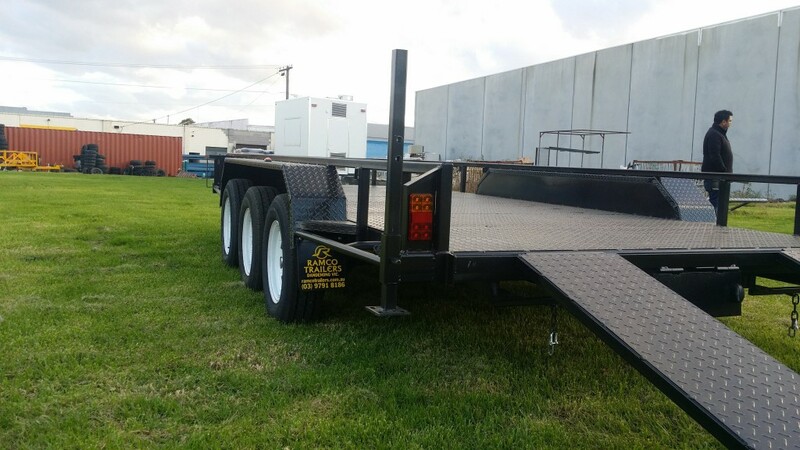 At Ramco Trailers, our highly professional and experienced team has been utilizing latest techniques and raw materials in adherence to the Australian Design Regulations (ADR) to manufacture these trailers so they are reliable one. 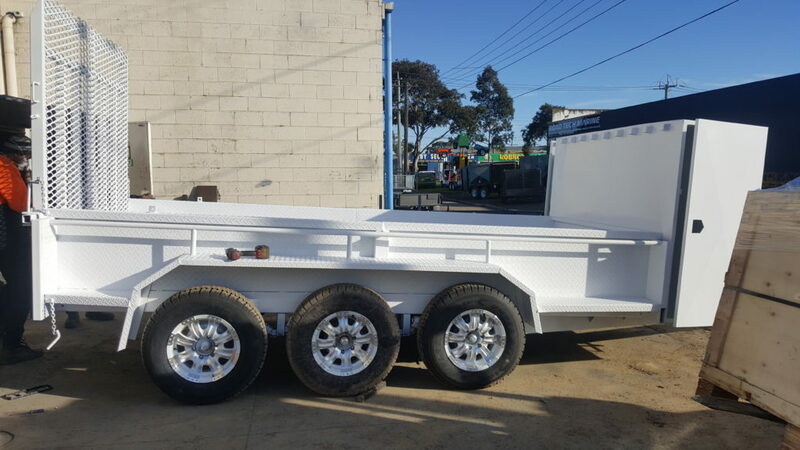 We offer our Tri-Axle Trailers for Sale, which are available with LED lights with Flat/Round Plugs to suit and they are available with 2 coats of paint & 1 coat of Zinc Primer along with special number plate holder and spar wheel bracket. Furthermore, our trailers are availed at the industry leading prices so they are affordable one. 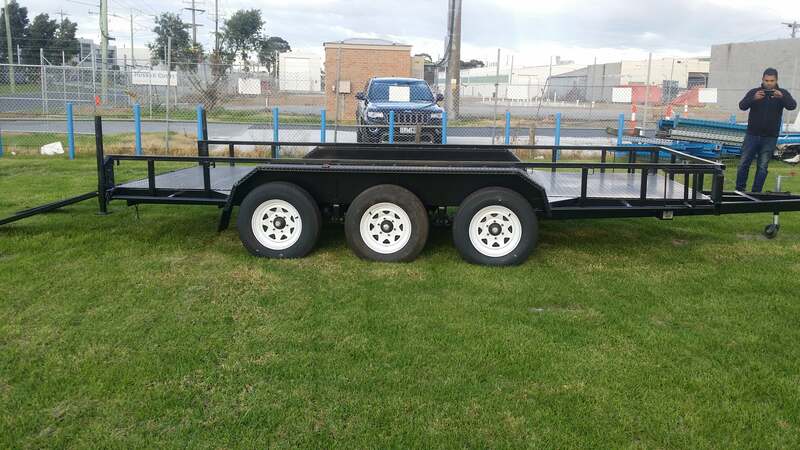 Then why to wait for longer? 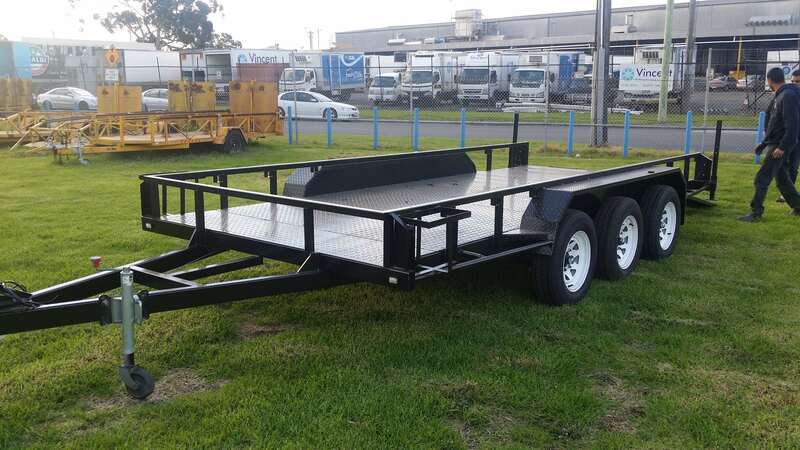 Contact us today on our website or make a call on 03 9791 8186 and fulfill your requirements of highly durable Tri-Axle Trailers.